Strawberry Print Bow Tie, with adjustable band to fit up to 20 neck size (50cms). Also available in a self tie. 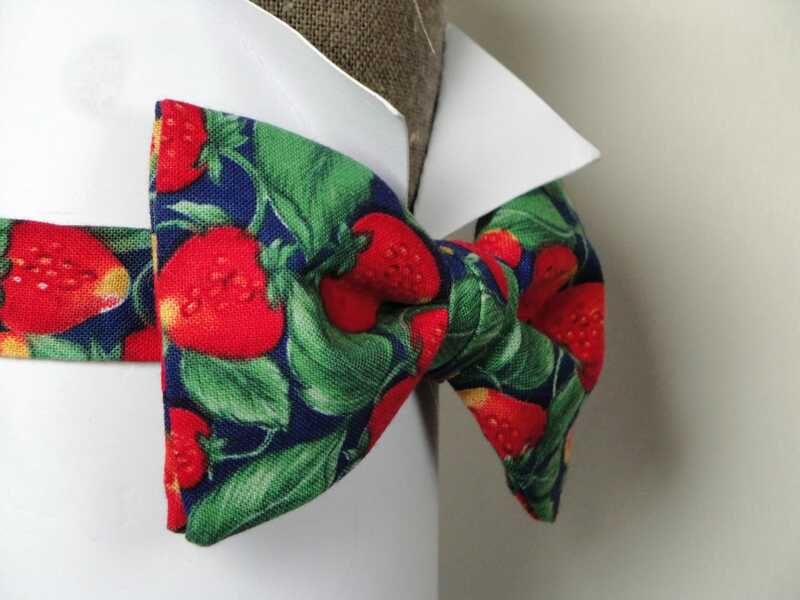 Strawberry Print Bow Tie, with adjustable band to fit up to 20" neck size (50cms). 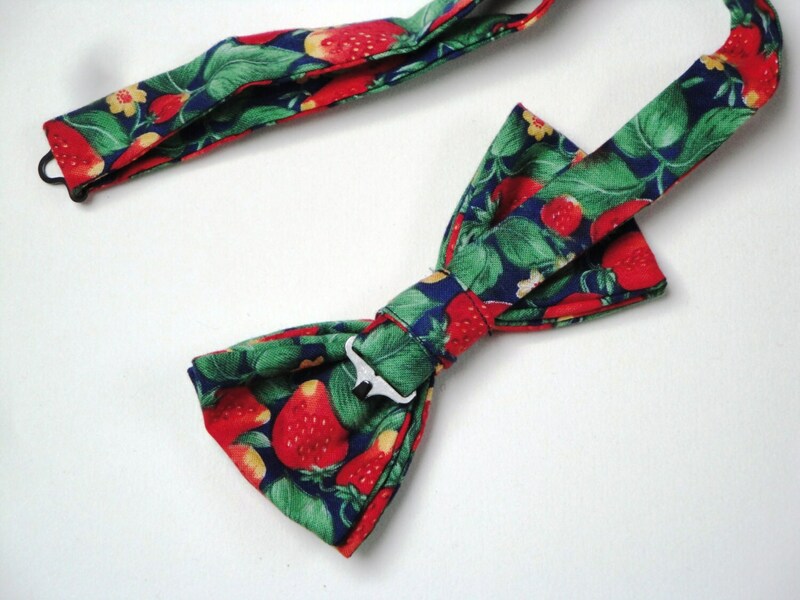 Also available in a self tie. 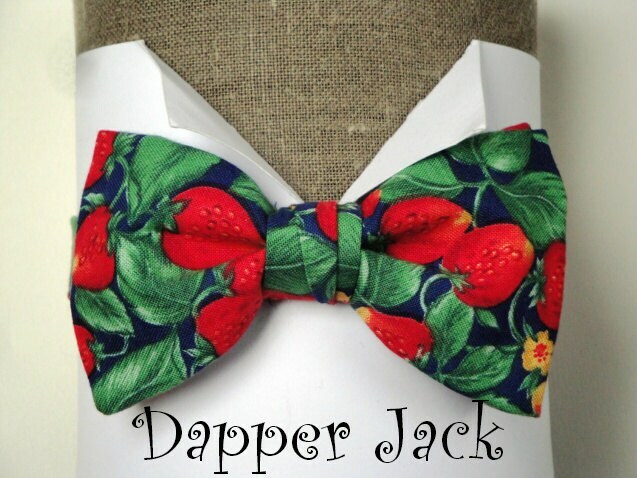 Novelty print bow tie made in 100% cotton on an adjustable 3/4" (2cms) fabric band with a metal hook and loop fastening.